Kull tore the veil away with one motion and recoiled with a gasp. Delcardes screamed and her knees gave way; the councillors pressed backward, faces white and the guard released their grasp and shrank horror-struck away. The face of the man was a bare white skull, in whose eye sockets flamed livid fire! “Aye, I guessed as much!” exclaimed Ka-nu. Somewhat related, these are the reading materials I took along for vacation reading (not including the three lifetimes worth of digital material I have on my tablet). Still reading Warhammer too, but I decided to leave that massive book at home. In case that picture is not clear, those are WMLP No. 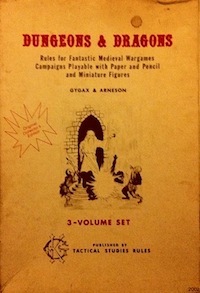 1, Coercion, Capital, and European States: AD 990 – 1992, the old D&D Gazetteer GAZ3 The Principalities of Glantri, Changeling: The Dreaming (for some faerie inspiration), and the aforementioned Kull collection. This entry was posted in Uncategorized on May 13, 2012 by Necropraxis. I love the Kull collection. Some of my favorite REH stories. Rumors on the internet say that the Masters of the Universe line was originally going to be a Conan line of figures. When the licensing fell through, Conan became He-Man and Thulsa Doom became Skeletor. The OSR sure does love its He-Man. I’ve been thinking of changing my banner to Skeletor actually.